This book is intended to help analytical chemists feel comfortable with more commonly used statistical operations and help them make effective use of the results. 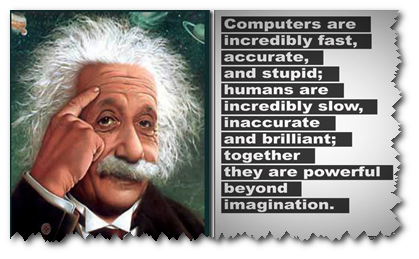 Emphasis is put upon computer-based methods that are applied in relation to measurement and the quality of the resulting data. 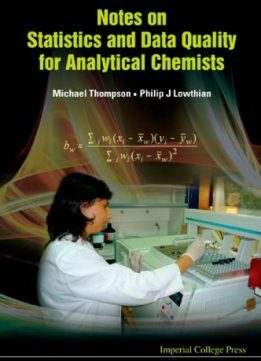 The book is intended for analytical chemists working in industry but is also appropriate for students taking first degrees or an MSc in analytical chemistry. The authors have divided this book into quite short sections, each dealing with a single topic. The sections are as far as possible selfcontained, but are extensively cross-referenced. The book can therefore be used either systematically by reading the sections sequentially, or as a quick reference by going directly to the topic of interest. Every statistical method and application covered has at least one example where the results are analysed in detail. This enables readers to emulate this analysis on their own examples. All of the datasets used in examples are available for download, so that readers can compare their own output with that of the book and thus verify that they are entering data correctly into the statistical package that they happen to use. To stay in compliance with regulations, pharmaceutical, medical, and biotech companies must create qualtiy SOPs that build in the regulatory requirements into actions and describe personal flow, internal flow, flow of information, and processing steps. Quality Operations Procedures for Pharmaceutical, API, and Biotechnology and the accompanying CD-ROM take into account all major international regulations, such as FDA, EU GMP, cGMP, GLP, PDA technical monographs, PDA technical reports, PMA concepts, journals of PDA, GCP, and industry standard ISO 9000, to be in compliance with documentation guidelines. No other resource deals exclusively with the key elements of quality control and quality assurance procedures for pharmaceutical operations and provides hands-on templates to be tailored to achieve global regulatory compliance. The book provides instant answers about what to include in critical quality assurance and quality control SOPs and how to enhance productivity. The CD-ROM contains nineteen quality control and thirty-three quality assurance SOPs designed so that users can input them into their computers and use their Microsoft Word programs to edit and print these documents. The book ensures minimization of the number of documents, helping to reduce the nightmare-like aura that surrounds an FDA audit. The SOPs exclusively refer to the documents specially required for compliance; however, specific formats are not included to ensure that the electronic templates can be easily used by pharmaceutical, bulk pharmaceutical, medical device, and biotechnology industries. The combination of text and CD-ROM presents a ready-to-use resource on the quality systems of aseptic pharmaceutical non-aseptic production and to provide general information and guidelines. They comprise a tool that can be used to develop a set of quality SOPs in order to support the road map established for the on-time successful start-up of the facility operation in compliance with the GMP requirements.